War is everywhere. The growing threats of war have raised rumors of the possibility of a third world war. But World War II veteran David Meakes says there’s a way to avoid it. He shares it in his book, Perspective: The Golden Rule. The ninety-five-year-old war veteran served in the military for five years during World War II. During those years, Meakes realized war does not bring forth peace but only suppresses it. In his attempt to shed light on the reality of war and the factors that makes it ineffective and exceedingly costly, Meakes writes a narrative concerning some of the major issues pervading the country, which include the United States’ excessive military expenditures, the threat of nuclear war, and the passive acceptance or unawareness of the US citizens to the lobbying of the US Congress by the “arms” corporations. 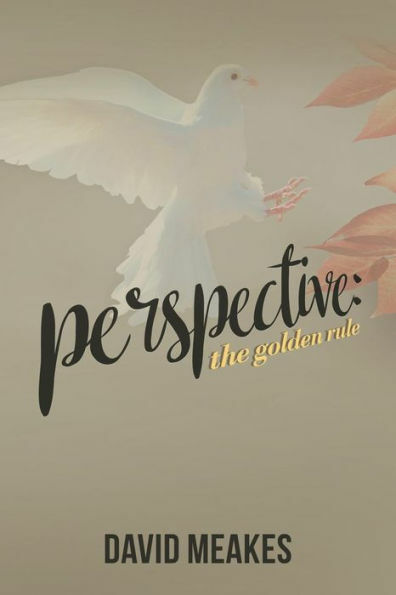 In addition, Perspective: The Golden Rule tackles several topics, like the analysis of religion and politics as influencers of war, peace, and other social conditions. The author also emphasizes the role of education, family, and current events in the shaping of perception. He suggests the prevention of war through the right perception: following the golden rule that, if adapted by every nation, will save millions of lives and properties. “Writing on a very interesting lifetime, full of thoughtful observations presented in a very captivating manner,” says Don Nakrieko, an Amazon customer who gave the book five stars. David Meakes was born in Canada. He served over 5 years during World War II. Having retired as a podiatrist, Meakes spends his time with his wife Olga in Mesa, Arizona. More information about the author and his work is available at his website, www.davidmeakes.com.